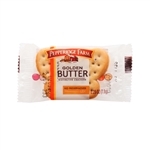 Campbell's Pepperidge Farm Milano Cookie 1.5 Oz. Campbell's Broth Red and White Beef 10.5 Oz. Campbell's Swanson Chicken Chunks 30 Oz. Campbell's Swanson Chicken White Chunks 5 Oz. Campbell's Chili Road House Chunky 15.25 Oz. Campbell's Chili Food Service With Carne 50 Oz. 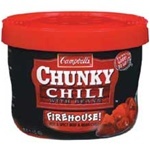 Campbell's Chili Fire House Hot and Spicy Bowl 15.25 Oz. Campbell's Ready To Serve Beef Gravy 50 Oz. Campbell's Ready To Serve Beef Gravy Brown 50 Oz. Campbell's Ready To Serve Turkey Gravy 50 Oz. Campbell's Franco American SpaghettiOs Pasta 7 Oz. 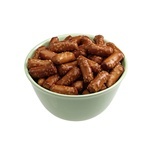 Campbell's Pretzel Gems 1.5 Lb. 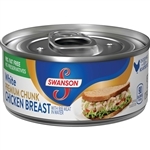 Chicken Swanson White Dark Chunk - 4.5 Oz. Campbells Beef Gravy - 10.5 Oz. Swanson Broth Vegetable - 14.5 Oz. Swanson Vegetable Broth - 32 Oz. Prego Sauces Meat - 14 Oz. 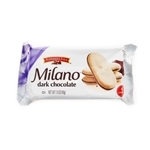 Pepperidge Farm Milano Cookie - 0.75 Oz. V8 Beverage Blackberry Cranberry - 12 Fl. Oz. V8 Beverage Orange Pineapple - 12 Fl. Oz. V8 V-Fusion Energy Peach Mango Beverage - 48 Fl. Oz. Beverage White Grape Raspberry - 12 Oz. SpaghettiOs Tomato Pasta - 15.8 Oz. Campbells Pasta Spaghetti and Meatballs - 15.6 Oz. Juice Tomato Retail - 12 Fl. Oz. Campbells Pasta Spaghetti - 15.8 oz. Swanson Broth Chicken - 32 oz. Red and White Fun Shapes Dora The Explorer Soup - 10.5 Oz. Low Sodium Cream Of Mushroom Soup - 49.5 Oz. Goldfish Giant Vanilla Graham - 0.9 Oz. Pepperidge Farm Goldfish Crackers Cinnamon - 0.9 oz. Chicken Gravy - 50 oz. 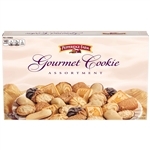 Great American brands like Swanson, Prego, Pace and Pepperidge Farms for your foodservice establishment. 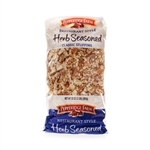 Everything from great soups that taste great to gravies that finish your dishes to chicken broths to add flavor to any dish. The picante sauces add zing to any dish while the Italian tomato sauces have the perfect balance of flavor for pasta. 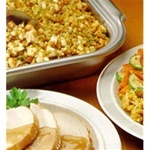 Buy Campbell's brand foods for your restaurant today.